This is album number three from Bird Show's Ben Vida, who in this instance teams up with like-minded avant-garde luminaries like Greg Davis and Lichens' Rob Lowe, who spend time instrument hopping between a ridiculously long list of different instruments. 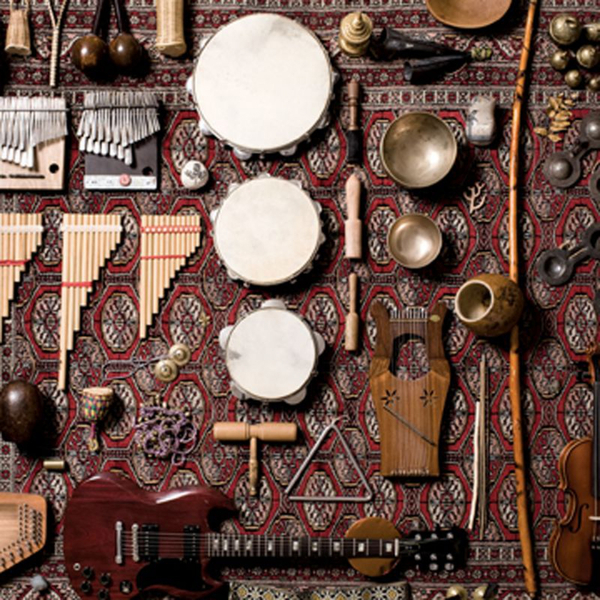 Just as the album itself is untitled, a great many of these pieces take their billing from whatever musical apparatus happened to be put to use at the time: 'Wood Flute, Berimbau, Mbira and Voice' isn't an especially catchy name for a song, but it does fill you in on exactly where these sounds are coming from. Perhaps even more so than with previous Bird Show outings, this album combines a huge number of different influences and disciplines, from field recording to kosmische musik, whilst taking a great deal of influence from various ethnic musics and the specific instruments you'd associate with such sounds. Some might feel this smacks too heavily of 'new age' magpie multiculturalism, and while there's definitely an element of that buried within these ten compositions, there's sufficient experimental clout to the album to elevate it beyond those terms.